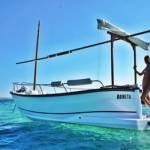 Llaut Bonita – Boat and CO. 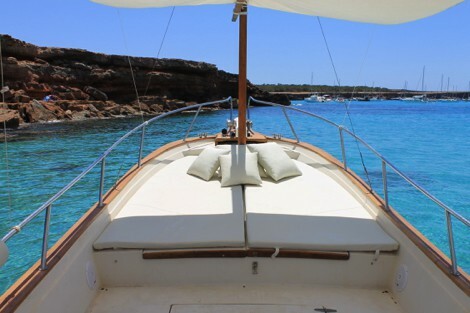 The aesthetics of llaüt is very characteristic and we wanted to bring you closer to the history, the romanticism and the essence of the islands is our llaüt ‘Bonita’. 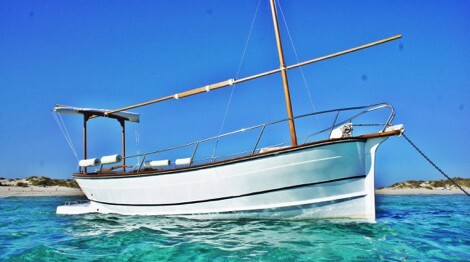 This boat has capacity for six people, has a large solarium, awning, bathing, ladder to be able to go down and climb with any comfort, and fresh water shower to be able to remove the saltpeter from the sea. 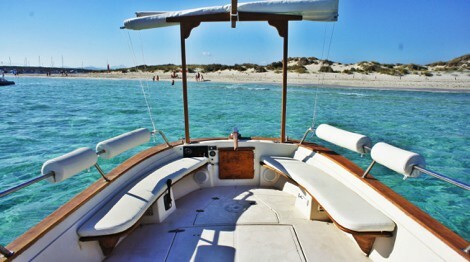 It has a music system, a fridge so you can have a fresh drink and snorkel equipment, which will allow you to get close to the seabed of the island. 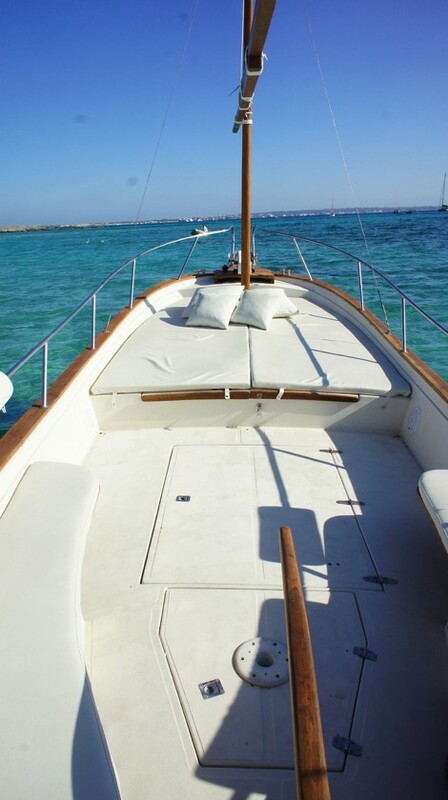 Surprise your partner or friends with this llaüt and we assure you that you will be the envy of all the boats, it is so “Pretty” that draws attention. 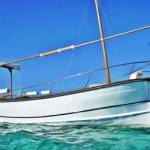 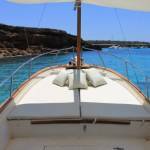 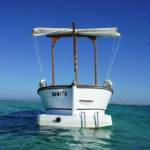 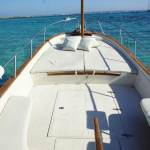 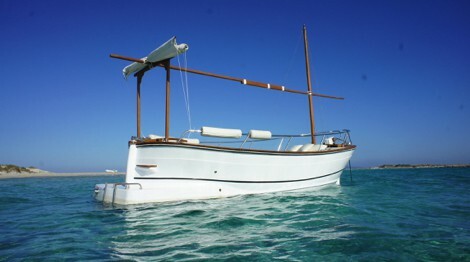 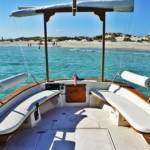 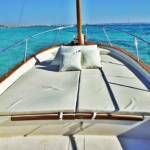 It is the best option with a hippy chic air for rent of boats in Formentera. 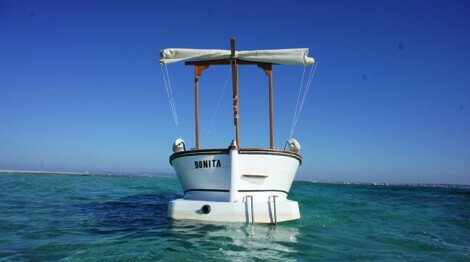 For one day chárter: Fuel consumption included. 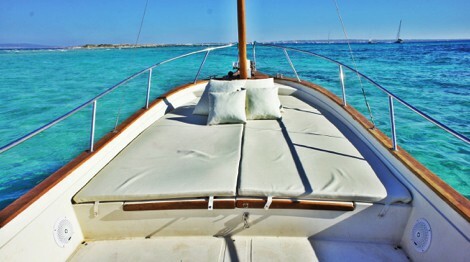 For more than one day chárter: Fuel consumption not included.